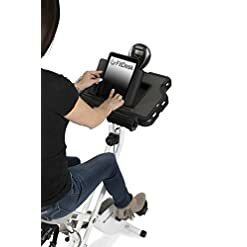 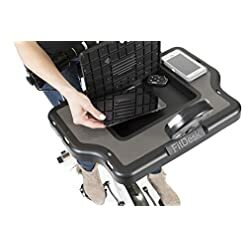 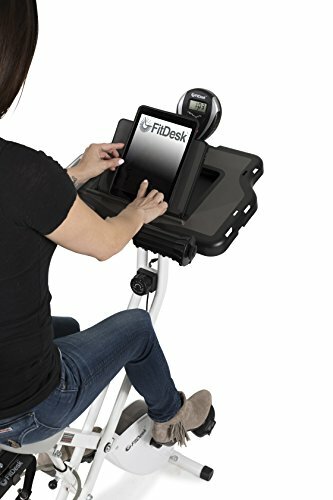 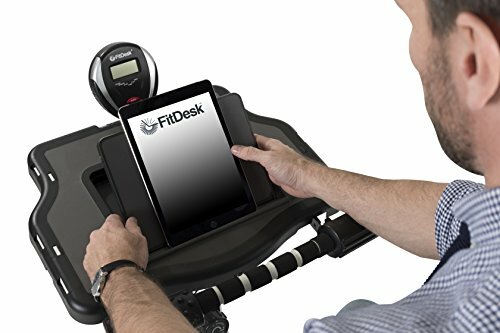 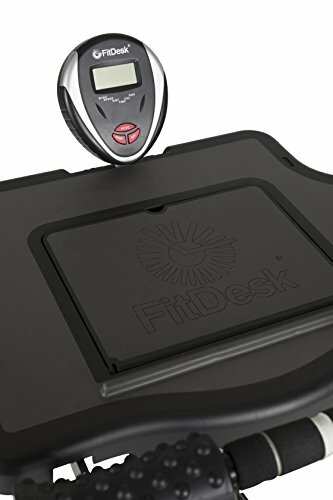 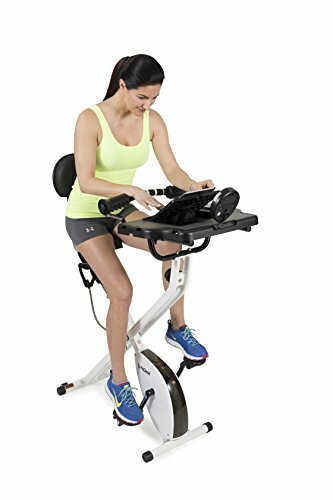 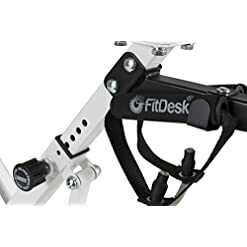 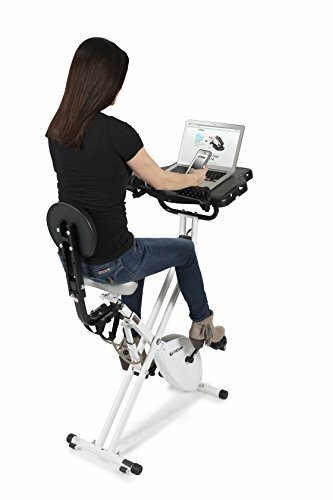 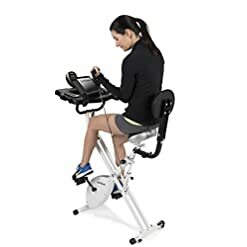 The Fit Desk v3.0 lightweight folding exercise bike with sliding desk platform and tablet holder is perfect for improving your cardiovascular health while working on that next big deadline, surfing the web or keeping up with friends. 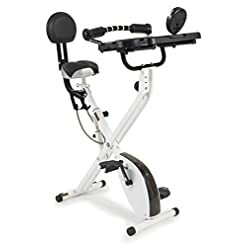 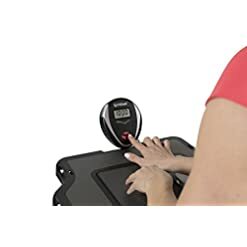 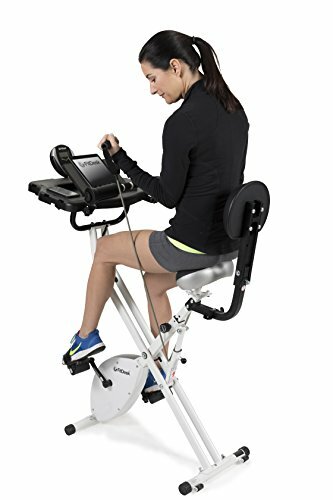 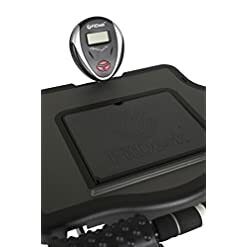 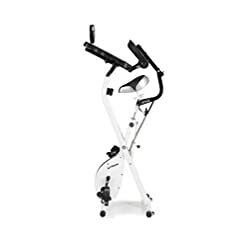 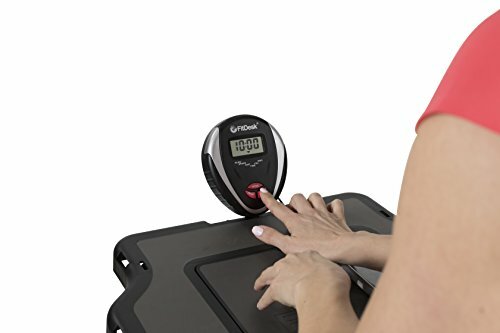 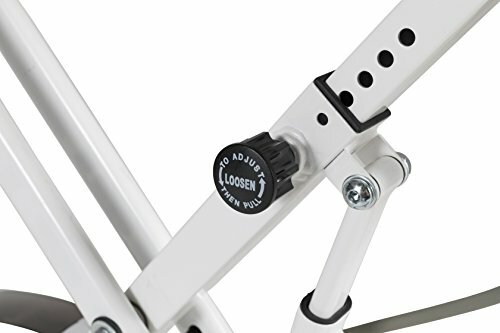 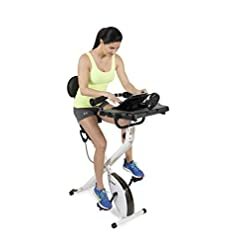 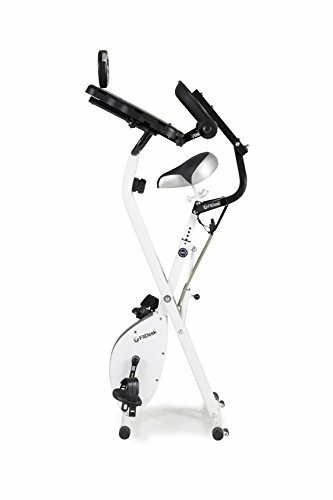 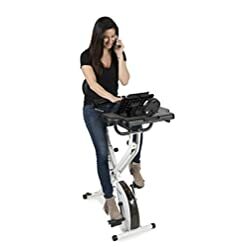 This lightweight folding exercise bike with sliding platform is perfect for improving your cardiovascular health without leaving your office. 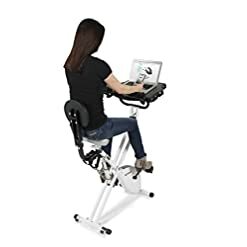 Using a laptop, reading a magazine or playing a video game while engaging your legs in resistance pedaling has significant health benefits over inactive sitting for long periods of time. 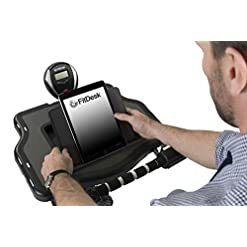 Adjust your resistance level throughout the day for a varied workout or use the included convenient upper-body resistance bands for an added cardio boost. 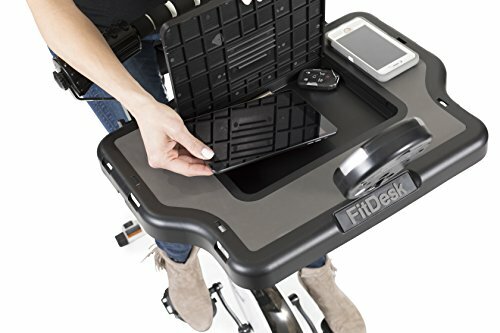 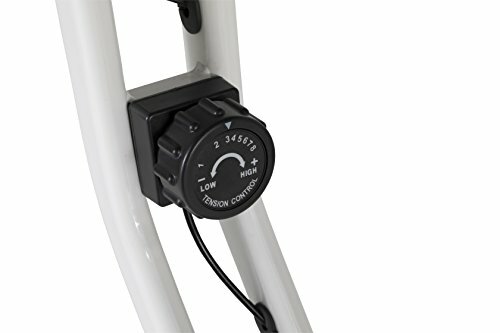 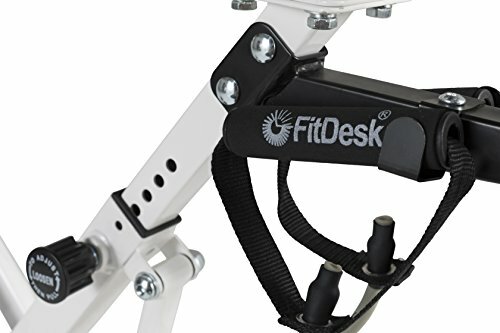 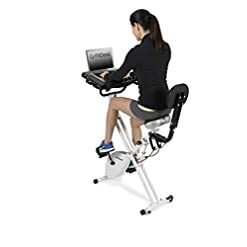 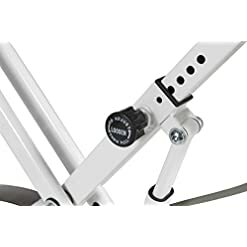 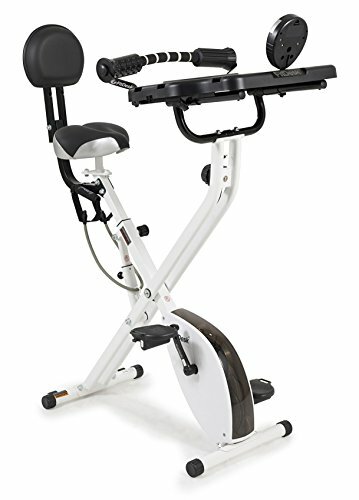 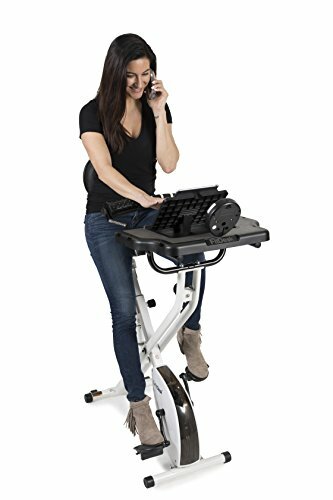 Fit Desk offers comfort for all day riding with a beach cruiser style seat, adjustable back rest, and forearm massage rollers provide relief from daily typing strain. 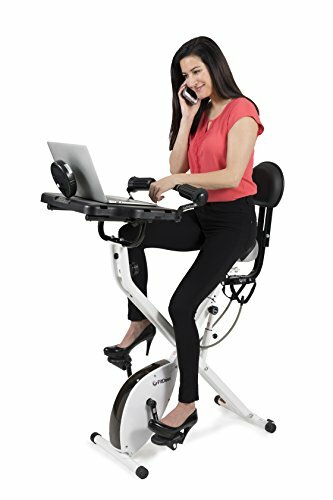 Comfort adds to the functionality by allowing you to spend more time exercising while working. 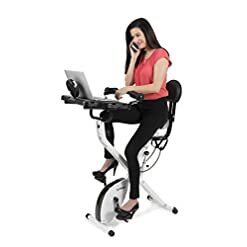 There is no need to limit your exercise to before or after work when you can do both comfortably. 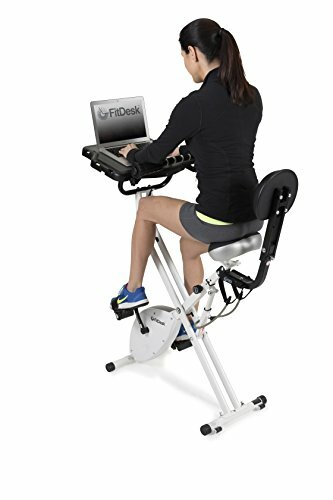 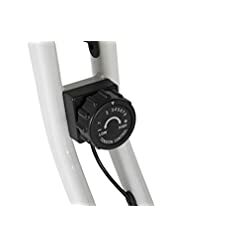 You can expect a reliable, quiet and comfortable experience with your new Fit Desk Exercise Bike.